In small workshops on the island of Bali, former fishing boats are painstakingly converted by hand to produce eye-catchers for your home and garden. Following an elaborate cleaning process, all the usable parts of the old handmade boats are utilised. They are turned into tables, benches, chairs, bookshelves and accessories – colourful and individual, complete with secret compartments and drawers. If they are to be used outdoors, we recommend treating the surfaces with oil for extra durability, so as to preserve the colours and protect the material, as well as ensuring that water can drain away instead of collecting. Since each of these items is one of a kind, slight variations in dimensions and colour are to be expected. Recycling is nothing new: materials that have already been used and no longer serve any real purpose are transformed into something new that catches the eye or offers an ingenious benefit. Most of us have probably recycled things in some form or other before. 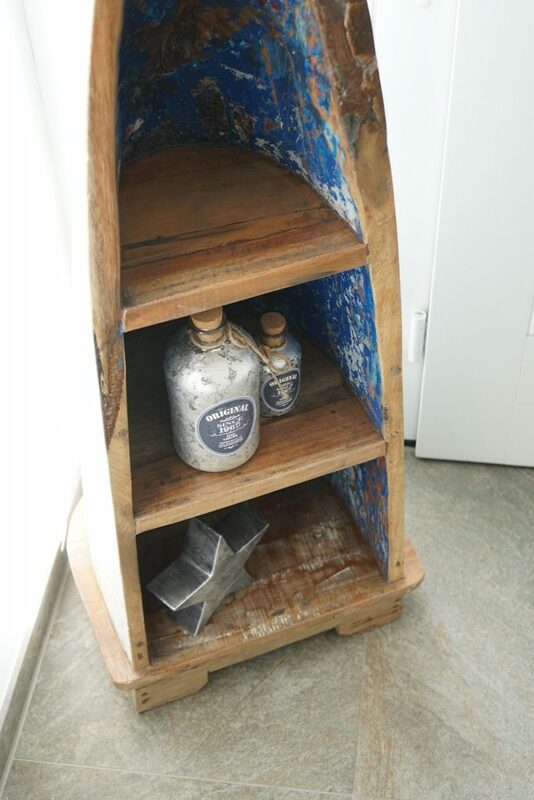 So why not try a special form of up-cycling in your garden? With Ploß® and the former boat timber, you will be bringing some rustic charm into your own leafy refuge. Over the years, boats made from Balinese hardwood acquire more and more charm along with a sense of adventure. 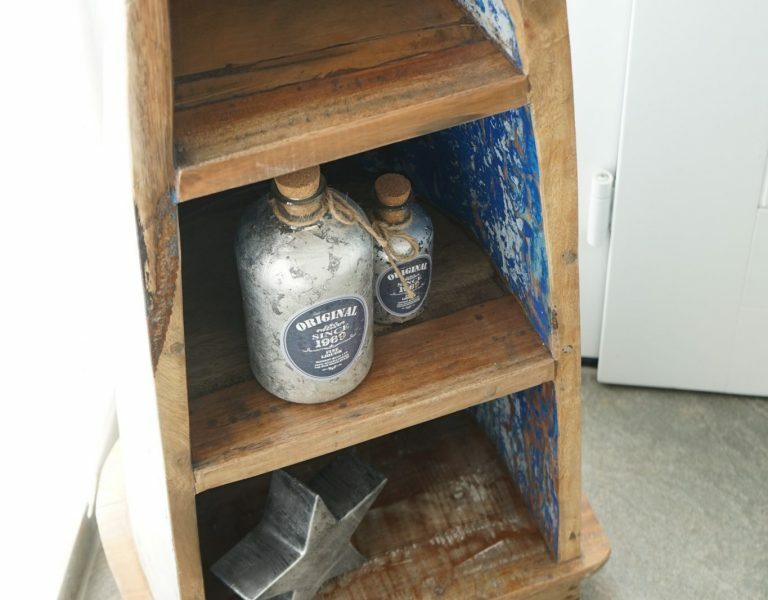 So what could be better than giving the old material a new life once it has served its original purpose in the fishing industry, by turning it into strikingly beautiful and original furniture? That is how the unique items that make up the SEASIDE range by Ploß® are made. They not only imbue your garden with the requisite touch of originality, but also bring with them a breath of salty sea air. With an exotic piece of furniture by Ploß® right on your doorstep, retiring to your garden can become like a short trip to far-off countries. Use Ploß® „Wetterschutz“ to conserve the special coloration when used outside. The high-quality hardwood boat furniture made by Ploß® will impress your family and friends, not just with its quality but with its striking designs. At the same time, you can choose from a wide range of different products. The typical, rustic boat benches only offer a first glimpse of the wide range of remarkable furniture ideas by Ploß®, which will uniquely upgrade your home and garden, making them one of a kind. The colourful paintwork sets its own emphasis and will give your seating area a distinctive, imperfect charm enchanting young and old alike. You and your loved ones will be particularly captivated by the tales told by the wood. There are many advantages to using former boat wood for making garden furniture, especially from an environmental point of view. Reusing recycled wood and allowing it to live on in new furniture helps the environment and is completely in keeping with the trend towards sustainability. The colourful accents of Ploß®’s SEASIDE range and its historical background, as handed down by the fishing boat wood, make these items of furniture really unique highlights in your home and garden which are bound to attract people’s attention. Take a seat on the Indonesian wood; put up your feet and enjoy the holiday spirit that starts to come over you. Boat wood is particularly durable and of high quality, so you are sure to get years of pleasure out of your new furniture. With a weatherproof coating for the paintwork, the furniture can be used both indoors and outdoors – the rugged boat-building material will easily withstand any storm. 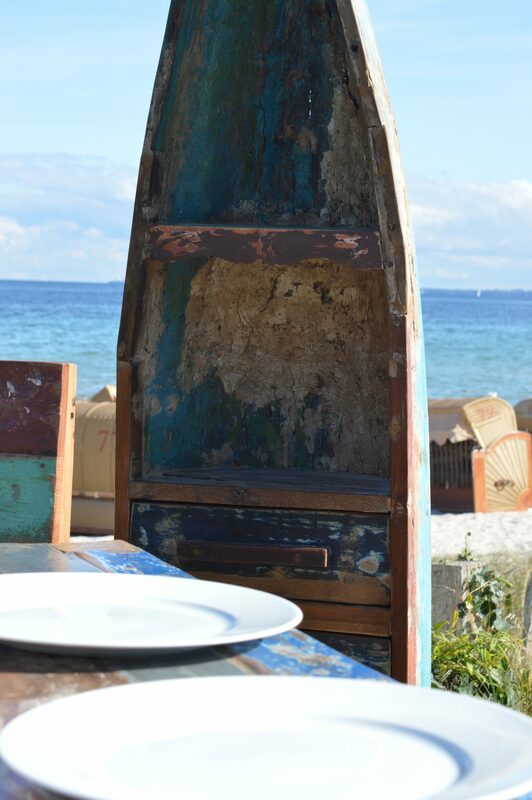 The SEASIDE boat shelves stand out particularly, and are bound to quickly become an original eye-catcher in your garden. 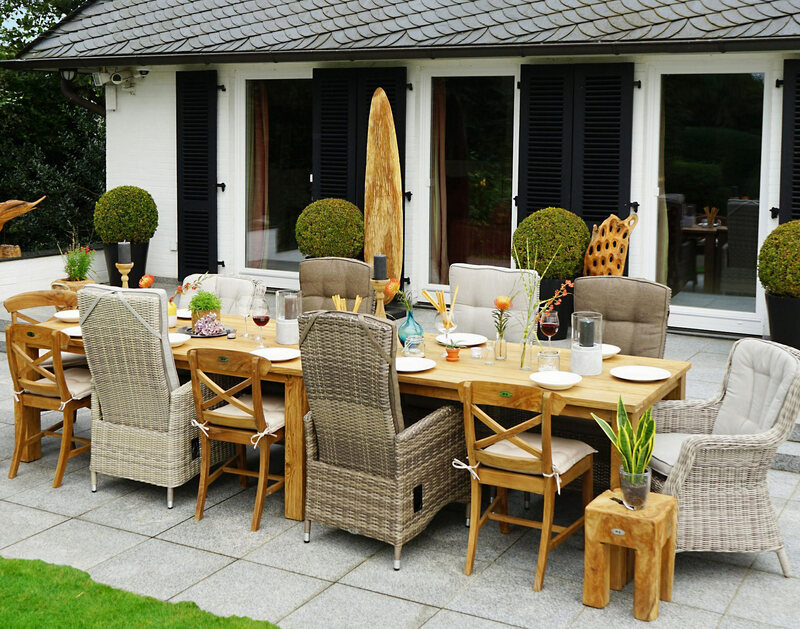 They are available in different sizes, colours and shapes, to suit every taste, and they provide additional storage space on your terrace in next to no time. Whether big or small, tapered or plain – there is no limit to the creative design and shapes found in the boat shelves. Bookshelves are also available with drawers, for example. 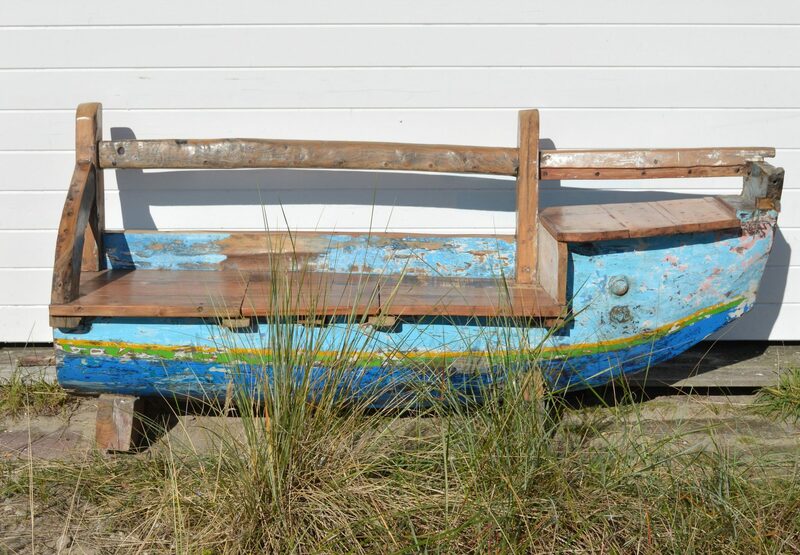 But Ploß® recycled boat furnishings have other creative applications too. Whether as a side table or lowboard, the unique design will definitely stand out and be the topic of conversation among your family and friends. The range also includes a matching pirate’s chest to fuel the spirit of adventure of young and old. Inspired by the wood of the treasure chest, which is steeped in its own history, you can delve back into the days of buccaneers and treasure hunters – from the comfort of your own home!